Have you seen black specks in your kitchen cabinets? Have you heard some scurrying around in the kitchen when both you and your spouse are watching TV? If you answered “Yes” to either of these questions, EEEKKKK!! You may have a mice problem in your St. Paul, MN home! At Minnesota Wild Animal Management we’re mice removal experts that know every trick in the book that these furry critters will try to pull to keep from getting caught. Traffic Patterns – Mice are downright dirty creatures. You can often spot their traffic patterns by looking at discolorations on walls or cabinets. Mice like to stay close to walls or cabinet edges to avoid detection so you’ll often find evidence of dirt from their fur smeared along these areas. Food Debris – Mice are very messy eaters. For this reason they will often leave remnants of their meals near food sources. You’ll often find half chewed wrappers along with food scraps, which are a sure sign that you may have some visitors in your home aside from friends and family. Nesting Areas – Mice often love to nest in insulation and debris so if you see these types of material in unusual places you may want to investigate further to determine if mice may have created a nest to give birth to their young. Mice reproduce extremely fast so it’s important to get a handle on your mice problem as soon as possible after they are discovered. 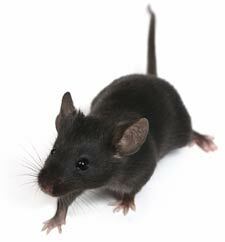 Sounds – If you hear scurrying around in your kitchen or walls you could be dealing with mice. Pay attention to exactly where the sound is coming from to try to pinpoint where the mice are located. Finding the source of the sound can help when you choose to call a wildlife removal company to come take care of your mouse problem. Mice Droppings – Mice are not the cleanest animals in the world. In fact, they will often do their business wherever they please which can lead to your home quickly becoming infested with their droppings. If you begin to see droppings in your home it’s likely time to call in the professionals to take care of your mice problem. If you’ve pinched your finger one too many times on a mousetrap it may be time to call in the professional mouse removal experts at Minnesota Wild Animal Management. With decades of mouse removal experience we know the tried and true ways to get your mouse problem under control and to also prevent new mice from making their way into your home. To setup an appointment with one of our mouse removal technicians give us a call today at 612-237-8282.